Stella Gibbon’s classic comic novel written in 1932, is a hilarious and memorable read full of eccentric characters. Flora Poste, orphaned at 20, has been expensively educated in many accomplishments except for earning a living. 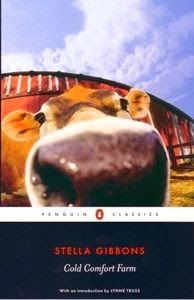 She decides to live with some relatives at Cold Comfort Farm in Sussex, England. There she finds Aunt Uncle Amos preaching hell-fire and damnation to the local villagers, Cousin Seth seducing the village girls, young Elfine running wild in the woods, and Great Aunt Ada Doom refusing to leave her room because she saw something nasty in the woodshed as a child. None of it is to Flora’s liking so she decides to tidy up all their lives, tackling one family member at a time. This is the second volume of Andrew McGahan's adventure series, Ship Kings. In the first book (The Coming of the Whirlpool) we meet Dow Amber, a boy who has lived his whole life in a small inland community of forest workers. When Dow first glimpses the sea he feels a deep yearning, the pull of the sea is irresistible. Against the wishes and customs of his village he is sent to the coast to learn to become a fisherman. Dow performs an amazing feat which brings him to the notice of the Ship Kings, the powerful maritime rulers. In this second book Dow is invited to travel on the Chloe, a Ship King battleship, on a voyage to the icy north. 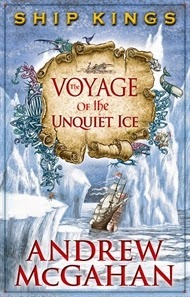 A tale of adventure, survival, rebellion and treachery, I particularly loved McGahan's descriptions of the Ice Wall and the landscape of the North Pole. An absorbing read for mid teens and up. I eagerly await Vol 3 to continue the story. 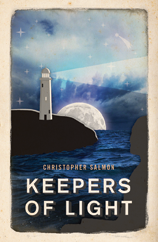 I really enjoyed reading this debut novel by local author Christopher Salmon. The story is about Best, a 94 year old man living in a nursing home, who has been bestowed the dubious honour of being selected by his doctor to be the first subject to be voluntarily euthanized under new NSW legislation. The book moves easily back and forth in time, offering insight into Best’s childhood and life (you may recognise some locations), and delving into his aboriginal /convict heritage, and back to his life now. The many themes introduced in the book create a thought provoking and fascinating story. It is a well written, easy to read and hard to put down-I would recommend it to anyone. Ed is an under-aged cabbie driver whose future is looking pretty bleak. He loves to read, but doesn’t enjoy school. When he accidently disturbs a bank robbery, his life changes – for better or worse? Then the messages from the Ace arrive. Each time they arrive, Ed must carry out a special task. Sometimes these tasks are thoughtful and pleasant and at other times, they are brutal and life-risking. These tasks change Ed in a profound way that Ed starts to wonder: “Maybe everyone can live beyond what they're capable of”. But who is the Ace? This book is suitable for ages 15 – 18 years. 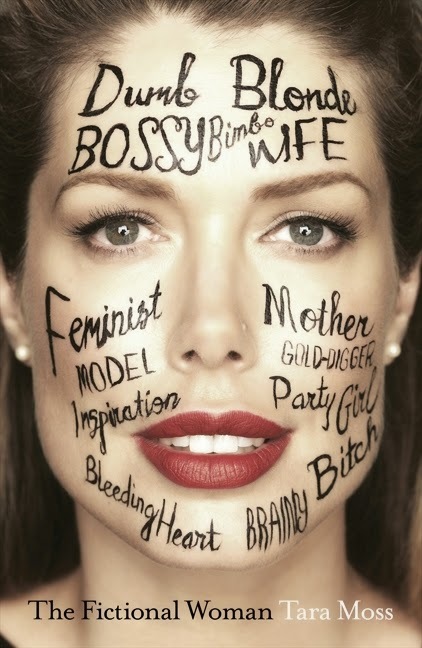 “The Fictional Woman” by Tara Moss. Discussion of Tara Moss seems to be universally prefaced with the tag ‘model-turned-author’. It is a telling paradigm, the classic separation of beauty from intelligence. For the same reason Moss famously opted to undergo a polygraph in order to prove that she was, in fact, the author of her own books. “The Fictional Woman” is Moss’ memoir, but it is so much more. Drawing from her own experiences Moss presents commentary on a myriad of social issues affecting women (and men) today. Her face on the cover has been inscribed with some of the labels she been encumbered with: ‘inspiration’, ‘dumb-blonde’, ‘feminist’ and ‘gold-digger’. Moss reflects on the “fictions” imposed on her, and on other women, historical and contemporary. Candid and personal, she speaks about motherhood, body image, exploitation and grief, simultaneously casting a wider net with which to explore issues such as everyday sexism, sexual violence and issues surrounding the under/representation of women in politics and the media. I want my friends to read “The Fictional Woman” and understand that a make-up-free ‘selfie’ can be an objectifying online obligation. I want men in my life to read this book and recognise that the term ‘feminist’ is not threatening, but rather inclusive. I do not often read non-fiction, so when I recommend such a book it is because it had a profound effect on me. “The Fictional Woman” challenges social perceptions and assumptions we all have, ultimately in the hope to change them.